Nowadays LED lighting sources become mainstream comparing incandescent or fluorescent 10 years ago. The revolution is also applied for Advertising light boxes, Outdoor sign boxes, signage post etc. Its LED bulb has various of colors for optional, such as red, green, blue and white etc. This LED module installs in light boxes back lighting to achieve customer desired effect. 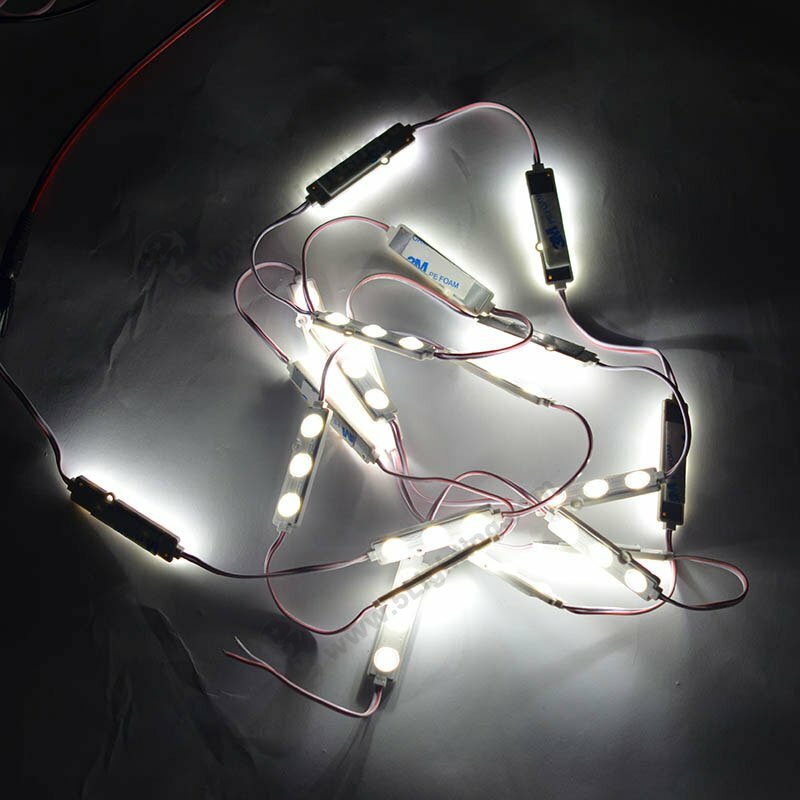 Wholesale injection LED module using 3pcs Epistar SMD LED chips as lighting source, it can bright super and high-efficiency lighting, and power consumption only is a fifth of common incandescent light. Its lifespan is up to 50,000 hours, saving energy and eco-friendly. This 3pcs Epistar SMD5730 LED module employs LED cool lighting source, low radiation, and strong UV protection has special design heat performance that ideal for display lights without thermal heat. 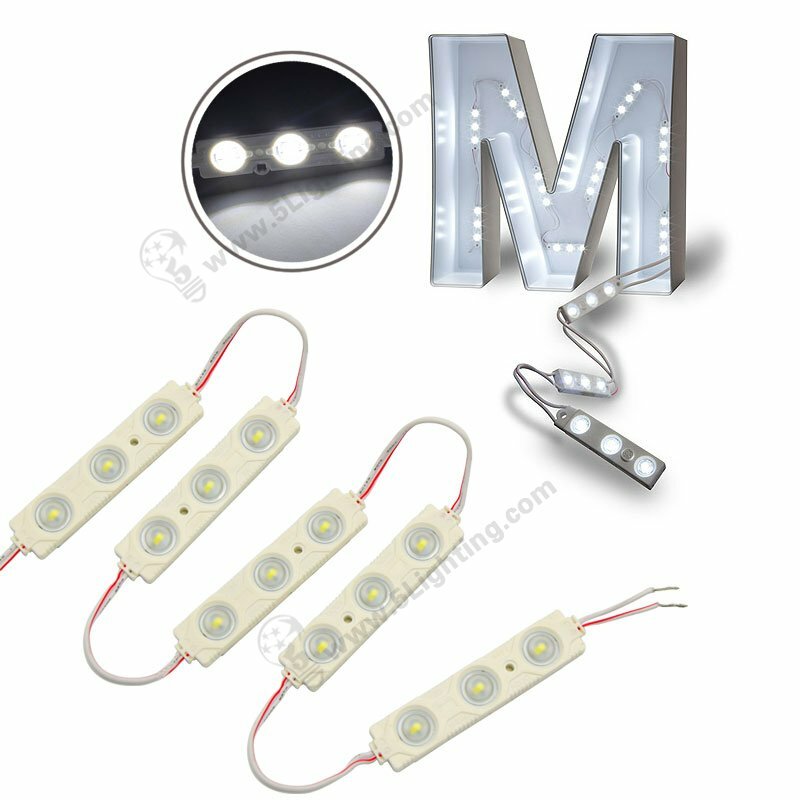 Comparing normal led modules in the market our SMD 5730 model is more brighter and cost effective. 5730 LED module adopted a corn of aluminum PCB and anti-static ABS plastic as shell’s material, its appearance of simple and beauty can meet customer’s requirement. The Beautiful 5730 LED module is featured with IP65 grade waterproof, can efficiently waterproof to prevent damage.